What are these random boxes with telephones in them? 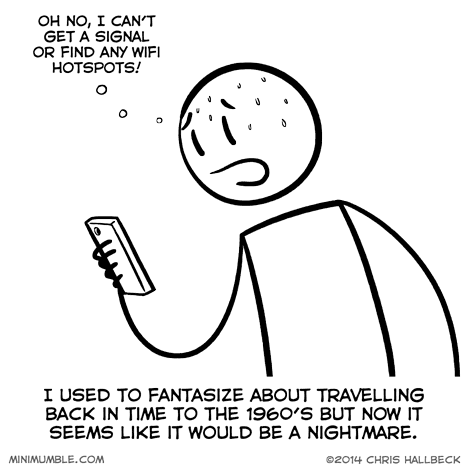 Plus you can’t use Google or GPS to get directions back to your time machine – you actually have to talk to people. Ugh, impossible way to live.